Some people love changing their hairstyle every day. Others have a style that they stick to. Others still don’t really care about the way their hair looks and either cut it short so it’s manageable or let it flow free. While individuals may have different approaches to hairstyles, everyone tends to feel the same about losing their hair. This process can be very embarrassing and depressing. Most men and women experience hair shedding and hair thinning after puberty. It becomes a psychosocial concern when it starts at teens. Androgenetic alopecia (male-pattern baldness) is the most common cause of hair loss in male patients. Men with male-pattern baldness tend to feel self-conscious about their thinning hair and often do what they can to cover up the issue. Some females also suffer hair thinning and shedding induced by androgens, and this is referred to as female-pattern baldness. This can be an incredibly stressful and difficult issue to manage, because going bald is not something most women experience. Your blood is filled with essential nutrients and growth factors that have a variety of applications, including hair growth. PRP hair treatments involve harvesting blood from your own body and processing it into an injectable substance. The PRP is then injected into the scalp where the nutrients and growth factors stimulate the production of new hairs and keep existing hairs nourished and strong to prevent further hair loss. FUE and FUT are both surgical hair-restoration procedures that are ideal options for patients with signification hair loss. Both procedures involve harvesting hair from areas of the scalp with an abundance of hair and transplanting them to the areas of the scalp where hair is desired. To learn more about the differences between these two procedures, check out our pages on FUT and FUE hair transplantation. You may have seen movies or shows where someone undergoes a hair-restoration procedure only to receive laughable results that look terrible. This is not an accurate reflection of the kind of results that are possible with modern treatments and procedures. The goal is to provide long-lasting and natural-looking results. Because of this, a lot of time, research, and effort have gone into ensuring that these procedures are able to provide results that satisfy the needs of the patient. 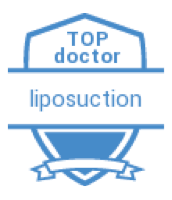 It is also important that you have your procedure performed by a skilled and experienced professional if you want to achieve the best possible results. If you’re tired of feeling stressed and self-conscious because of your hair disorder, contact Chennai Plastic Surgery today to schedule a consultation. We will go over all of the hair-treatment options we offer, listen to what your goals are for your treatment, and figure out the best treatment plan for you. Our team is dedicated to providing you with the personalized care and outstanding results you deserve.